Comments Due August 13 on NERC's PRC-005-02 and PRC-005-03 VSL Petition - July 23 - FERC issued a Notice of Filing establishing an August 13 comment date on NERC's June 4 proposal to revise NERC's Violation Severity Levels (VSLs) for Protection System Maintenance Standards PRC-005-02 and PRC-005-03. Notice of Proposed Rulemaking Issued for PRC-005-3 - July 17 - FERC issued a Notice of Proposed Rulemaking (NOPR) that proposes to approve revised reliability standard PRC-005-3, and several revised definitions. The PRC-005-3 standard addresses protection system and automatic reclosing maintenance and proposes to make certain reclosing relays subject to mandatory maintenance requirements, including detailed minimum maintenance activities and maximum maintenance intervals for the included reclosing relays. Comments are due by September 29th. FERC NOPR Proposes Revisions to NERC Physical Security Reliability Standards – July 17 - FERC issued a notice of proposed rulemaking (NOPR) that proposes to approve, with revisions, NERC's proposed Reliability Standard CIP-014-1 to improve physical security at critical electric infrastructure. NERC's proposed physical security standards were developed in record time and filed in response to FERC’s March 7, 2014 order instructing NERC to require owners and operators of the Bulk-Power System to assess their systems to identify critical facilities, evaluate potential threats and vulnerabilities, and develop and implement a security plan to protect against attacks. The NOPR proposes to direct NERC to modify the Reliability Standard to allow governmental authorities (including FERC and other "appropriate federal or provincial authorities," to add or subtract facilities from an entity’s list of critical facilities. FERC also proposes that NERC submit two informational reports to the Commission--one that would analyze whether the physical security Reliability Standard should be applicable to additional types of facilities, and another that would provide an analysis on grid resiliency and additional information on steps that could be taken to protect the grid against physical attacks. Comments on the NOPR are due September 22, 2014. FERC Approves Generator and Transmission Relay Loadability Standards - July 17 - In Order No. 799, FERC approved both a new standard on Generator Relay Loadability (PRC-025-1) and a revised standard on Transmission Relay Loadability (PRC-023-3). The standards are designed to prevent unnecessary tripping of grid assets in blackout or other emergency situations. Order No. 799 will become effective on September 22, 2014, and the standards will become effective on October 1, 2014. FERC Review of NERC Enforcement - June 26 - FERC declined to review NERC's June spreadsheet NOP penalty filing. NERC Files Peak Reliability Funding Petition With FERC - July 23 - NERC filed with FERC a petition to fund just over $4 million of Peak Reliability's budget from load-serving entities in the WECC region. NERC's filing indicates that this supplemental filing was necessary because AESO has opted out of receiving reliability services from Peak Reliability, and BC Hydro and Peak Reliability have yet to reach an agreement on services and compensation. However, in the interim Peak Reliability is still providing services to AESO and BC Hydro, and additional funding is needed to ensure bulk power system reliability. NERC has requested FERC action by October 1, 2014, and FERC has set a comment deadline of August 13, 2014. NERC Submits Five-Year Electric Reliability Organization Performance Assessment Report – July 21 – NERC submitted its Five-Year ERO Performance Assessment Report, as required by FERC under the Federal Power Act (FPA), for the period of January 1, 2009 through May 31, 2014. NERC submitted its initial performance assessment on July 20, 2009, and is required by FERC to submit a new performance assessment report every five years thereafter. In this report, NERC describes how it has carried out its statutory and regulatory responsibilities as ERO during the assessment period, evaluates the performance of each of its Regional Entities, and addresses stakeholder comments on NERC’s performance as ERO. Furthermore, the Report highlights efforts in support of ERO Enterprise Strategic Plan initiatives applicable to the assessment period, including reliability standards and compliance reform. 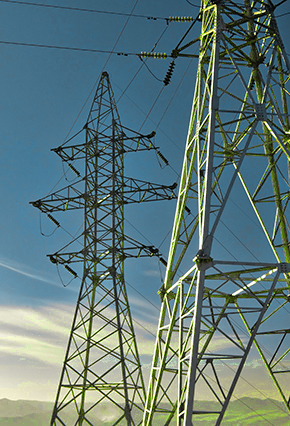 Response to FERC Decisions - July 17 - NERC issued a response to FERC's July 17 release of a final rule on generator and transmission relay loadability, as well as NOPRs on physical security measures and maintenance of auto reclosing relays. NERC was particularly supportive of the physical security proposed rule, including FERC's modifications to NERC's original proposal. Two Cybersecurity Bills Moving Through Congress - July 28 - Two cybersecurity bills - the "Cybersecurity Act of 2013" in the Senate (S. 1353) and the "National Cybersecurity and Critical Infrastructure Protection Act of 2013" in the House (H.R. 3696) - are moving through their respective chambers of Congress. The senate bill was recently placed on the legislative calendar and the house bill was passed by the house in a floor vote, meaning it will now move to the senate for consideration. Both bills are aimed at bolstering cybersecurity measures to protect the nation's critical infrastructure. Sen. Claire McCaskill (D., MO) Introduces Grid Reliability Act - July 17 - Senator Claire McCaskill, a democrat from Missouri, recently introduced the Grid Reliability Act of 2014 in the U.S. Senate. The bill seeks to amend Section 202 of the Federal Power Act (FPA) to, among other things, provide immunity from suit under various environmental law where a party takes action, as directed by FERC, to address emergency circumstances. The bill has been referred to the Committee on Environment and Public Works. Peak Reliability Posts Draft Strategic Plan - July 14 - Peak Reliability posted a draft of its 2015 Strategic Plan, which sets out high level goals for Peak Reliability and major initiatives that it will undertake in future years. Peak Reliability is accepting comments on the plan through August 19. NARUC Passes Reliability Resolutions - At its summer meeting, the National Association of Regulatory Utility Commissioners (NARUC) Board of Directors passed two resolutions concerning electric reliability. NARUC's resolution on physical security acknowledges that protection of “critical facilities” of the electric system is a shared responsibility of FERC, NERC, and the state public service commissions (PSC) and urges state PSCs to focus on physical grid security. NARUC's resolution on cost-benefit analysis in the reliability standards development process urges that reliability standards be cost-justified, lauds NERC for approving the Cost Effective Analysis Process (CEAP) process, and encourages NERC to include consideration of costs in all electric reliability standards releases.